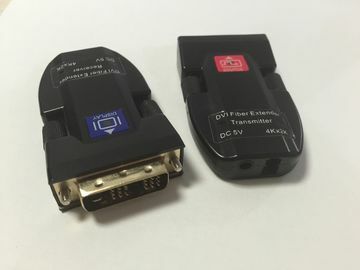 Fiber Linker DVI fiber extender extends the DVI signal to a long distance with single fiber. Support HDTV video resolutions up to 4096X2160@30Hz. It is very small and used widely by the project of video conference, Multimedia, remote teaching, video wall, and other digital video transmission. FL3201KM: 1-ch DVI, single fiber, single mode, 300Meter or 2KM standard, MiNI type.